The activity of distributing voting cards to the population began this Thursday, May 9 all over the country. 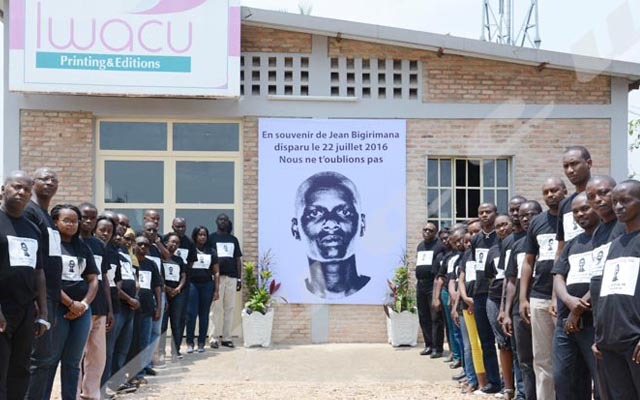 At various registration centers in Bujumbura city where Iwacu passed, people were in the queues and some could be heard expressing their discontent. At Lycée Municipal Musaga, in Muha commune, activities started at 7:30 am. At around 11a.m, some of the people who were present said they had not yet received their voting cards while they had been there since morning. At Complexe Scolaire de Kanyosha (CSK) of the same commune, people were queuing as well. They said they did not understand why there were no sufficient distributors of cards. “The job would be easier if there were a lot of distributors,” said Alain, a young man met at CSK. He asked the National Electoral Independent Commission to increase the number of distribution agents to prevent long queues. At the primary school of Jardin Public in Mukaza commune, the distribution agent seemed to be overloaded. Some people were complaining about the delay to get their cards. “I have been here since morning and I have not yet received my voting card,” says a young man. He complains that there is only one distributor. “One person cannot serve all these people. He needs assistance,” he said. A distribution agent at this center says most of the people thought it was just about coming and picking the card. “People believed it wouldn’t take time to withdraw their cards. The call must first be made in alphabetical order so that everyone can find their name,” he says. At Lycée Municipal Cibitoke in Ntahangwa commune, at around 12 pm, about fifty people were present. A taxi driver met on the spot said he did not understand why his name was not on the list. “I registered and then went to check if my name was well written. I do not understand why my name is not on the lists,” he said adding that the distribution agents told him to come back another day so that a solution to his problem may be found. The distribution of voters’ cards is due to end on Sunday, May 13th at 5:30 PM.